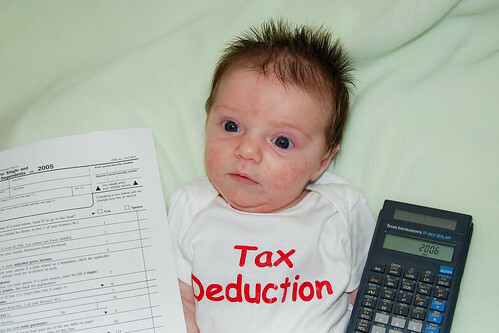 We know that she isn't a deduction for us until taxes are due next year, but she wanted to get some practice. Happy calculating! What a natural! Accurate on the calculator too. Are you looking for a job yet? I could hook you up; but, that would make you want to pull all that cute, spiked hair right out of your head. How does your hair do that--is your Mother putting "hair gel" in already?